Becoming a director of athletics requires more than a resume, cover letter and references, the standard documents that were covered in Part 6 of the series. It is important to sit down with your spouse or partner and have some candid conversations about their commitment to your profession. Your spouse must be fully on board with you becoming an AD. The position is much more than job, it is a lifestyle choice and this lifestyle can be enhanced or undermined by geography and family considerations. You and your spouse must be on board with the location of the school - the state and region are important, as is the setting - urban, suburban or rural. Hate the cold and snow? Upstate New York, Maine or Minnesota might not be good options. If you are from a coast and you've never been to the mid-west, you’ll have to be prepared to explain to a search committee or President why you want to live there and how your family will adapt. Every part of the country has its particular “feel”, norms and culture. If you are going to move away from a close knit family or grandparents, you have to know how their personal situations such as health, willingness to travel and a desire to have an in-person presence in your life and the lives of your children might impact your satisfaction in a particular area. These are important conversations to have well before you submit your information for a position, not after you are under serious consideration. 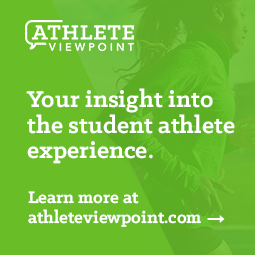 Many athletic director searches include significant interaction with your spouse, and what is learned during those interactions can be every bit as important as what you personally say during the formal interview. Make sure s/he is on board and can handle the personal questions that will come during these interactions. If your partner is not in favor of where you are interviewing, that information usually shines through and may impact your hire-ability. Finally, there will be many stretches where you are simply not available for your family. If you have children, this can significantly impact your spouse who will bear the brunt of your absence. For example, how will your wife feel being the only mom at cub scouts? How will your son feel? Are you comfortable missing your daughter's soccer game? What type of support system do you have – or can you create – where you are considering moving? Your children’s ages should be taken into consideration. When children are small, it can be much easier to re-locate than when you have a daughter who is a junior in high school. If your kids are old enough, you may want to involve them in the conversation and make it a family discussion. Ultimately you may still have to move children who don’t want to be moved, but at least they will feel like they had a chance to weigh in and were heard. To be successful, your spouse or partner and family MUST be fully on board with the demands of you being an AD, and with it all that relocation brings.